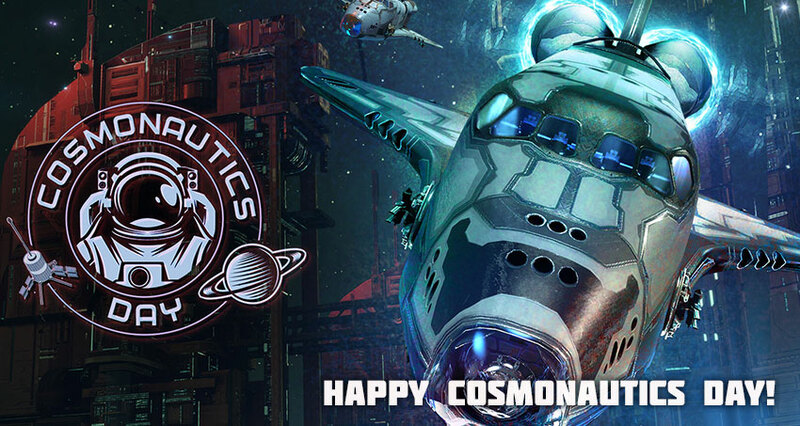 We wish all our pilots a happy “Cosmonautics Day”! 58 years ago, the first manned flight into space took place. In honour of this event, information screens on space stations were updated and there are satellites instead of drones in space. Pilots can complete the special Cosmonautics Day achievement and take advantage of special holiday rockets. New unique holiday stickers have become available. The stickers will be available for a limited time! 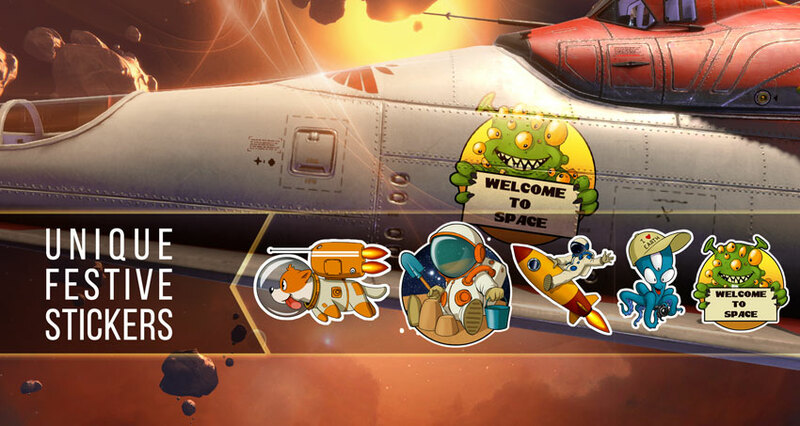 Get all the stickers in a special container bundle. To do this, you will need to go to the “Bundles” tab and select “Holiday Bundle #12”. 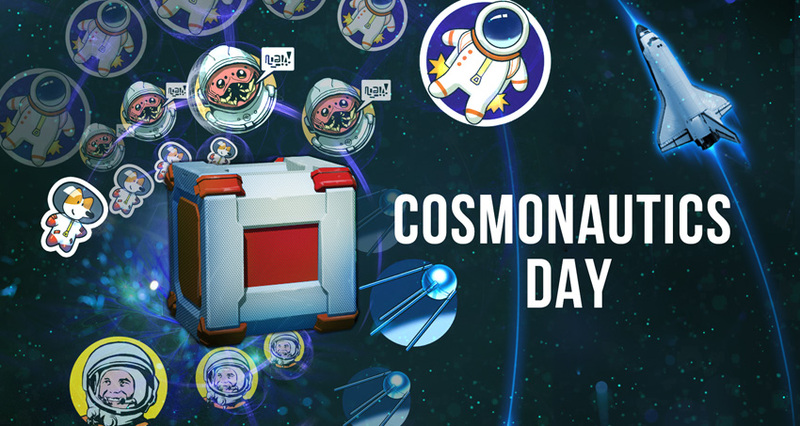 A special container with the festive stickers “Cosmonautics Day” can be purchased in the “Bundles” tab. Decorate your fleet during the holidays! Let's win together! Pilots! In honour of Cosmonautics Day, the ships Endeavour and Spiral get unique colouring schemes, available only in the bundle “Cosmonautics Day”. Ship components “Lost technology” Spiral and Endeavour can be obtained in a special container bundle “Star Conqueror. The container is sold for galactic standards. Collect the legendary ships in a special holiday painting! 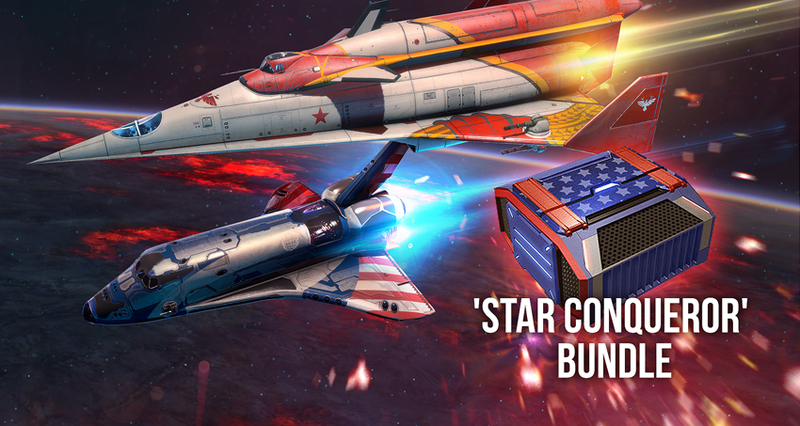 Please note that the Cosmonautics Day and Star Conqueror bundles will be available to players for a limited time.